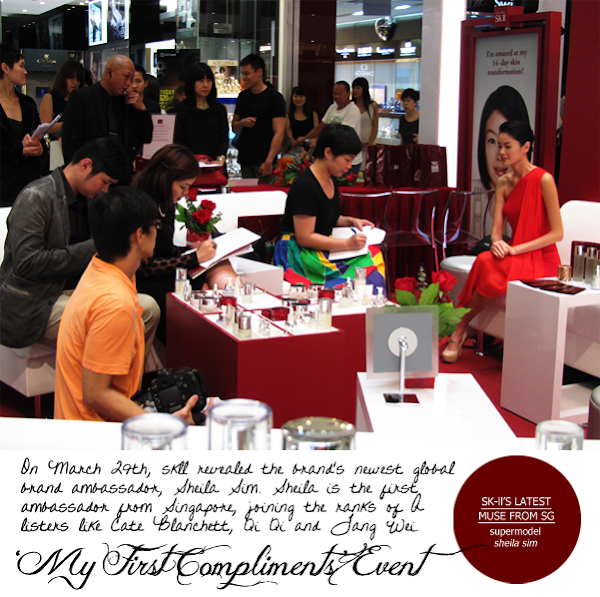 March 29, 2012 saw the revealing of SK-II's newest Global Brand Ambassador, Sheila Sim. Sheila is the first from Singapore to be added to the SK-II's family, joining the ranks of A-listers, such as Cate Blanchett, Qi Qi and Tang Wei. "The collaboration with supermodel Sheila Sim makes perfect sense because we feel that she embodies a modern interpretation of beauty that's very au courant yet authentic. We are confident that she will bring the message of crystal clarity to a new generation of women through her inspiring stories of transformation – both in skin and life." The host for the day was the elegant Stephanie Carrington. Together with the gorgeous Sheila, a lovely afternoon was spent on Sheila's discovery of SK-II, the unexpectedly quick results and the subsequent slew of compliments from her family, friends and colleagues. The 1.74 beauty started using SK-II long before she was made an ambassador and she credited her crystal clear and 'tofu' skin to her trusty ol' Facial Treatment Essence. The FTE, as Sheila called it, contains 90% Pitera, which is a natural bio-ingredient. It combines over 50 types of skin nutrients to activate skin cell renewal. The FTE has been proven to shift the skin's 5 dimensions - texture, radiance, firmness, spot control and winkle resilience - to help achieve skin that is smooth, bouncy and most importantly, crystal clear. "One of the first compliments I received after using SK-II was that my skin's texture became more refined, firmer and smoother and there was an overall improvement in the condition of my skin, something I had never experienced before with any other skincare brands. My friends complimented me on my skin's glowing radiance and when even my makeup artist and close friend, Clarence Lee, praised me for my healthy skin, I knew that SK-II had really transformed my skin – inside out." "What I like about Sheila is that she gives personality to the dress, and brings it to life. I can just throw her in anything and she will still look good in it." "Despite being a celebrity model Sheila is still very polite and well-mannered. She is very respectful towards others and her sunshine personality brightens up the room. On set, Sheila is very versatile and can take on any look. Off set, she comes across as very genuine and sincere, and that is what people in the industry likes about her." "Sheila is very real to herself and even though she holds a high profile in the fashion industry now, she still has no airs or qualms. Instead, she is very down-to-earth and honest. Her personality is like her dress sense - she is very colourful." 2. Remove your makeup properly after a long day at work. 3. Indulge your skin if you're a frequent jet-setter. 4. Looking good isn't about money. It's about style, and style never goes out of fashion. 5. Experiment with different looks. 6. Get to know your body shape and learn what cuts and colours suit your body shape. 7. Your body is a temple. 8. Create a good balance between work and play. Credits: Information and some photos are from the press kit provided. 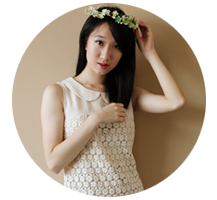 Profile photo of Sheila is from her blog.